Creation: Appeared in Oct 1940 as a renumbering of US 158, running from US 58 Franklin south to the North Carolina line. Adjustments: About 1945, US 258 was extended to Fort Monroe, replacing the VA 258 extension that had been in place through Windsor, Smithfield and Newport News. 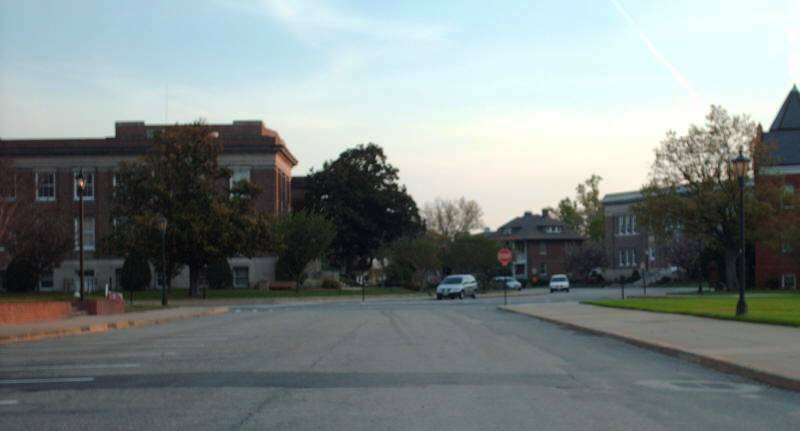 In Oct 1945 (CTB), US 258 was removed from High St in Franklin and instead used Main St to go from South St to 2nd Ave. High St is still posted as US 258, along with the current US 258 Bus routing. In Nov 1973 (CTB), US 258 was placed on its southern bypass of Smithfield, leaving behind US 258 Business. In 2003, US 258 was placed on its bypass of Franklin by duplexing with US 58 and replacing all of VA 260. The old route through Franklin became US 258 Business. When The Hampton Roads Bridge Tunnel was built in 1957, the '58 VDOT County atlas continued to show US 258 going to Old Point Comfort even though the ferry was discontinued. Virtually all maps still show US 258 ending at Old Point Comfort on the Ft. Monroe Post. However, as early as 1991 it was not posted past VA 143 and since Sept 11, 2001 Ft. Monroe is no longer an open base. So for all practical purposes US 258 does end at VA 143. Improvements: The entirety of US 258 was paved upon its designation. The first multilaning of US 258 occurred by 1947, from Phoebus to Old Point Comfort. 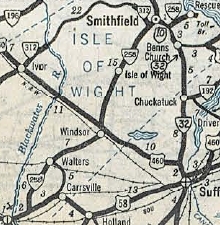 In 1949 the 4-laning was extended west to VA 351. In 1958, US 258 was multilaned from Armistead Ave west to about Newport News CL. In 1960 or 1961, US 258 was 4-laned US 60 to Hampton CL and also from VA 134 to VA 351. In 1970, US 258 was 4-laned from US 17 south to the James River. In 2003, US 258 was multilaned on its new US 58 duplex. US 258 is 8 or more lanes from US 17/VA 143 all the way to VA 278. Posted: Fully posted; error VA 258 shield at US 60 has existed in the past. Both US 258 Bypasses are posted as US 258 TRUCK in places. Comment: US 258 is a major artery in Hampton and not so special south of the James River. If US 258 really still exists on Fort Monroe it is a true dead-end US highway. Creation: Designated Nov 1973 when US 258 was placed on its southern bypass of Smithfield. Comment: US 258 Business is prohibited for through trucks. Creation: Designated in 2003 when US 258 was placed on its eastern bypass of Franklin. High St (old alignment of US 258) is still posted as well. Comment: US 258 Business is home to the only cutout (for US 58) known to still be standing in southeastern Virginia.